Yes Wine is great, yes Wine is free. Yes money from Bordeaux/Crossover goes to help fund the Wine project... Just Bordeaux and Crossover do not have issues with regressions like Wine does. They both have ups and downs. Bordeaux 2.0.4 for Linux was released today. 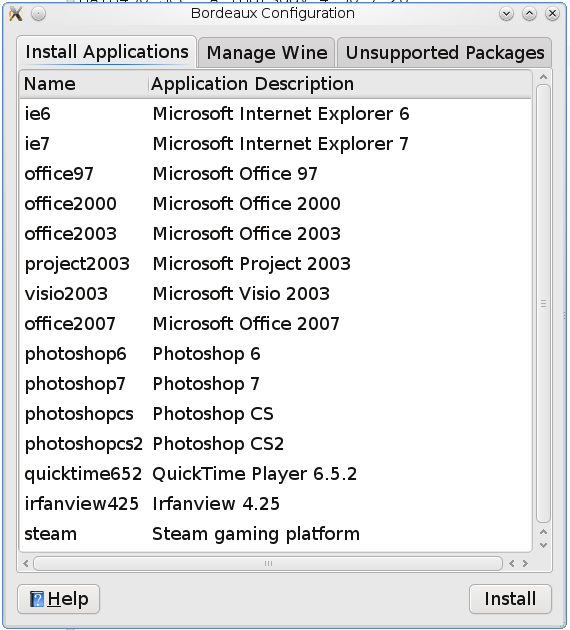 The latest version of crossover ships with wine 1.1.34 not 1.1.24 stated the article. This article was written before CXGames 9 shipped! Does Bordeaux ship with Pulseaudio support? @Chris I'll check on the pulseaudio support. @Chris No, Bordeaux does not have PulseAudio support built into by default. 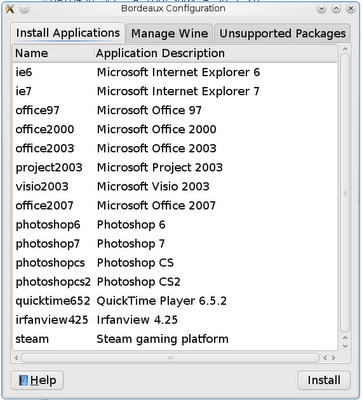 I have talked with one of the creators of the software however and hopefully the Wine version they ship with should have this support built in for the next release. To defend Bordeaux vs. Wine. I think you have to consider how much your time is worth. I very happily bought Bordeaux for $20, because it saved a bit of time and trouble configuring, and for the programs I wanted (IrfanView, MSOffice), it really did just work. That's well worth the price. Yes, you can configure it yourself, but for so little money, why waste the time and effort?